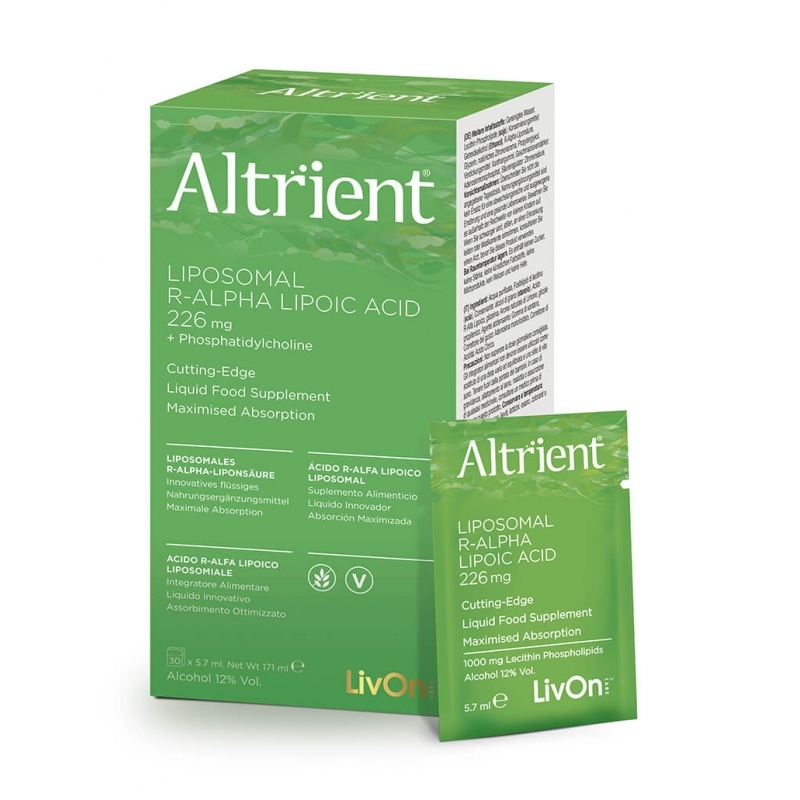 Why choose Altrient Liposomal R-ALA? The most bioavailable R-ALA on the market. We invest heavily in independent research to ensure all our claims and statements are accurate. R-ALA is proven to be more effective but is expensive to produce and presents stability issues in manufacturing. Altrient only uses the R form of ALA, to ensure optimal performance. Liposomes are created in a gel/solution, they are not able to survive in a powder or pill form. 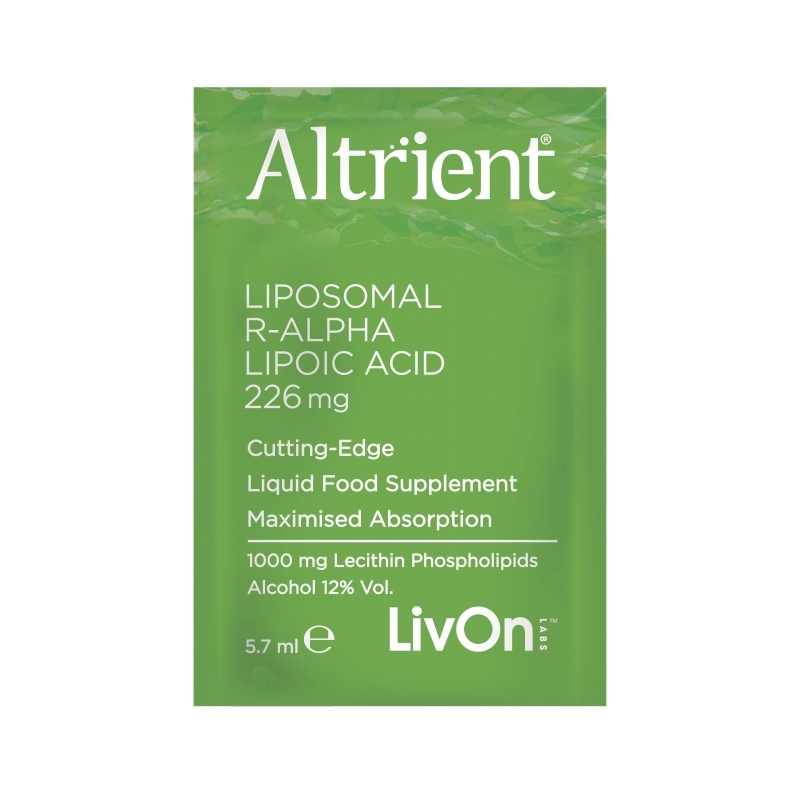 Once again LivOn labs are using their ingenious Lypo-Spheric, liposomal formulation to ensure that almost all the R-Alpha Lipoic Acid is absorbed directly into your bloodstream and gets to where it is needed most. This delivery system prevents the R-ALA from peaking too quickly in the body ensuring it remains bioavailable for the maximum duration. Why you need Altrient R-ALA.
A small amount of ALA is made naturally in the body, but the rest of what you need must come from eating red meat, organ meats, and brewer's yeast or from dietary supplements. Since the amount of ALA available in dietary supplements is as much as 1,000 times greater than what you can obtain in a normal diet, ALA experts recommend daily supplementation with high-quality ALA. The R form, which is the form found in nature, or the S form, which is often used in low-cost, synthetic preparations of ALA. R-ALA is proven to be more bioavailable and biologically active than S-ALA, but it is expensive to produce and often presents stability issues in manufacturing. This is why most ALA supplements contain only the S form or a 50/50 mixture of S-ALA and R-ALA.
Altrient R-ALA encapsulates R-ALA in liposomes made from Essential Phospholipids. This powerful delivery system protects the R-ALA from destruction by your digestive juices and gives you the potential to experience the full benefits of ALA with every packet. Within minutes of taking Altrient® R-ALA, liposomes filled with R-ALA are transported directly into the bloodstream, and into the cells. High quality, convenient, great value oral form R-Alpha Lipoic Acid: Guaranteed! INGREDIENTS: Deionized Water, Lecithin Phospholipids, Alcohol (ethanol), Adenosiine Monophosphate, (natural flavour modifier), R-Alpha Lipoic Acid, Natural Lemon Flavouring, Xanthan Gum, Citric Acid (for pH adjustment).